The World Interfaith Harmony Week was first proposed at the UN General Assembly on September 23, 2010 by H.M. King Abdullah II of Jordan. 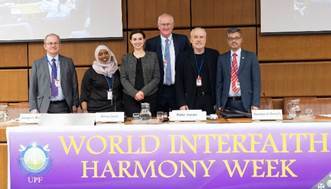 Just under a month later, on October 20, 2010, it was unanimously adopted by the UN and henceforth the first week of February will be observed as a World Interfaith Harmony Week. 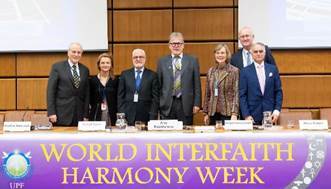 The World Interfaith Harmony Week is based on the pioneering work of The Common Word initiative. This initiative, which started in 2007, called for Muslim and Christian leaders to engage in a dialogue based on two common fundamental religious Commandments; Love of God, and Love of the Neighbour, without nevertheless compromising any of their own religious tenets. The Two commandments are at the heart of the three Monotheistic religions and therefore provide the most solid theological ground possible. 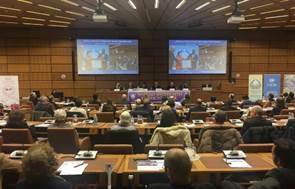 UPF Austria, Vienna International Centre (United Nations), February 1st 2019: Commemorating World Interfaith Harmony Week 2019, the Universal Peace Federation (UPF) organized a conference on the theme of "Migration and Interreligious Understanding in the Age of Globalization". 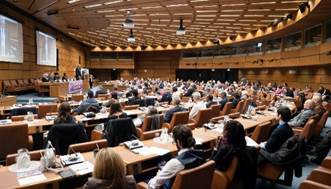 The conference was attended by 200 participants including UN diplomats, religious leaders, NGO representatives and other members of civil society. 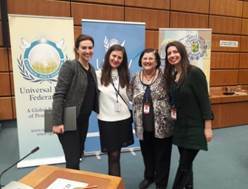 Partnering organizations included the Women's Federation for World Peace (WFWP), the United Nations Correspondents Association Vienna (UNCAV-Press), the International Institute for Middle-East and Balkan Studies (IFIMES) and the Best of the World Network. 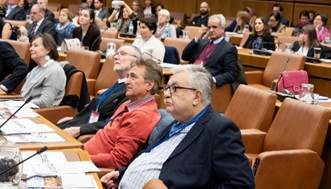 UPF and its network of Ambassadors for Peace celebrate this week each year, in a way that encourages understanding, respect, and cooperation among people of all faiths for the well-being of our communities and peace in the world. Mr. Jehad Abu-Subhieh, President of the Austrian-Jordanian Friendship Society (AJFS), began his talk by discussing the pioneering work of the Common Word initiative. Started in 2007, this initiative called for Muslim and Christian leaders to engage in a dialogue based on two common fundamental religious Commandments - Love of God, and Love of the Neighbor - without compromising any of their own religious tenets. 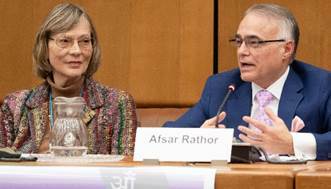 Mr. Jehad Abu-Subhieh added that World Interfaith Harmony Week also extends the Two Commandments by adding "Love of the Good," thereby including all people of goodwill, in short, including those "of other faiths and those with no faith." In closing, he noted that H. M. King Abdullah’s strong efforts concerning interreligious and intercultural understanding were honored in November 2018 when he received the Templeton Prize at Washington National Cathedral. Focusing on Africa, Mr. Jacques Marion, Vice President UPF Europe, then discussed how immigration from Africa is not only contributing to the evolving religious landscape in France but also impacting interfaith cooperation.He continued by outlining three principles for peacebuilding which UPF considers fundamental: living for the sake of others, human development through the education of heart, and spiritual growth in relation to life after death. According to Mr. Marion, these three principles face a serious challenge in Europe: "Individualism has become very central to modern culture; family values are very much in disarray, and life after death is for most people a non-issue." As such, he found it noteworthy that many people in Africa approach this spiritual dimension with an open mind. Mr. Marion concluded by discussing two large Summits which UPF had organized in Africa in 2018: January in Senegal and November in Cape Town. Dr. Alma Zadic, Member of the Austrian Parliament, then shared that she had come to Austria from Bosnia as a refugee when she was nine years old. As such, she understood the concept of belonging to Austrian society while sometimes feeling like an outsider. According to Dr. Zadic, "national and cultural identity can separate us from others... this missing interaction and dialogue can be politicized and used to make people fight each other." 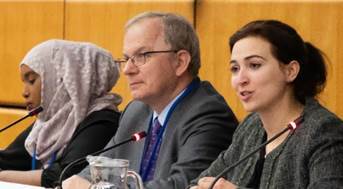 She noted "the rise of parties which do not value these core issues," and called upon religious leaders to provide a response by engaging in interfaith dialogue. Dr. Zadic said she felt intercultural dialogue had been forgotten over the years although "it lies at the core of the EU." As a human rights lawyer, she sees how religion can promote integration, thus preventing marginalization of communities and radicalization. Mr. Reinhard Gosch, the Director of the Bureau for the Dialogue among Civilizations (VDK) spoke next. He called for a new approach to culture and art to promote dialogue among civilizations across not only provincial borders but also national borders. 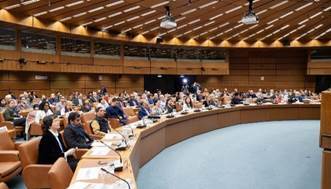 Noting disparity between developed industrial nations and those still struggling, he said that the dynamic element between civilizations and a shared interest in global problems are missing. In addition, "an alarming number of politicians still believe in war." 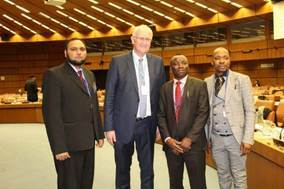 Acknowledging that world religions have taken noteworthy steps towards initiating a dialogue, Mr. Gosch maintained that this dialogue must go beyond religious boundaries and be achieved through intercultural communication. Referring to Plato, he affirmed the importance of exchanging opinions. Noting that humanity is like "elements of the whole created from the same matter," he finished by asking "do you deserve to be called human?" Closing out the first Session, Ms. Suad Mohamed, a consultant at the Austrian Red Cross and Diakonie Austria, began by recounting her family's lengthy history of displacement due to war and other security issues. Originally from Somalia, Ms. Mohamed has also lived in Saudi Arabia, Syria, Pakistan, and Austria. She noted three factors which have been important throughout her life. First, belief has made her "stronger and safer." In that regard, she recalled feeling hopeless when her studies in Pakistan had ended, and it was unclear where she would live next. After crying for divine help, she received the offer to come to Europe three weeks later. Second, Ms. Mohamed spoke about the importance of humanity, giving the example of how an Indian neighbor in Saudi Arabia had shown kindness during difficult times. Quoting Oprah Winfrey, Ms. Mohamed talked about being the "best version of yourself." She then discussed the third factor, hope, mentioning that she tries to see the "positive side of each country." In the face of insults and racism, she shows kindness and never gives up. Ms. Mohamed ended her talk with an excerpt from the "I have a dream speech" of Martin Luther King Jr. The "Globalization and Interreligious Understanding" session opened withcChair Prof. Anis Bajektarevic of IFIMES Vienna introducing the One Book for Peace, an initiative of the Interreligious Council in Bosnia & Herzegovina. 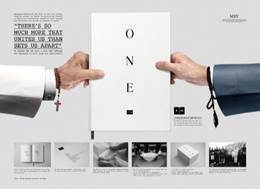 Comparing quotes from the Qur’ an and the Bible on topics such as justice, love, forgiveness and compassion, the book aims to decrease prejudice and raise awareness about the importance of interreligious dialogue. Ms. Heather Wokusch, a founder of SDG 5 Thrive!, spoke on behalf of Ela Gandhi: apartheid resister, parliamentarian, women’s rights advocate, interfaith leader and granddaughter of Mohandas ("Mahatma") Gandhi. Born in Durban, South Africa, Ms. Gandhi was raised in the Phoenix Settlement. She has detailed the interfaith emphasis of her youth: "We respected every religion and what their beliefs were. We were encouraged to read about every religion." Ms. Wokusch described the Phoenix Settlement and discussed that it has been nominated to be a World Heritage Site. She invited the audience to write a related letter of support and directed them to the Gandhi Development Trust website. Ms. Wokusch also gave background on Mahatma and Kasturba Gandhi, detailing activities connected to the 150th anniversary of their birth and inviting the audience to consider joining the Gandhi 150 Club. The next speaker was Prof. Ismail Yasin of the University of Vienna, and formerly of the University of Damascus. Prof. Yasin noted that we are living in a "critical moment" regarding refugees. 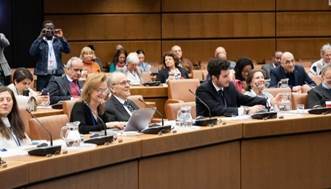 Indicating the "moral responsibility" for effective action, he said that countries internationally have not demonstrated true conviction to take the necessary measures. Pointing out that "since we have had evil, we have had migration," he expressed doubt that migration will stop. Nonetheless, Prof. Yasin said he was optimistic because "falsehood cannot resist the truth." He called for responsible religious leadership and expansion of the culture of tolerance. Prof. Yasin closed by questioning the legacy of the prophets in history, adding that Abraham, Jesus, and Muhammad had offered unconditional love to people. He maintained the importance of intercultural and interreligious dialogue in creating lasting peace. 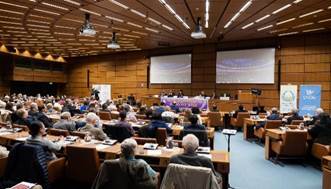 Dr. Helga Kerschbaum of the NGO Committee on Peace UN Vienna began her talk by noting that Buddhism, Christianity and Islam all value benevolence.She observed that with globalization, society needs deeply rooted common values that are "transnational, transethnic, transreligious, and transcultural." While indeed such a primary value, benevolence is rarely mentioned in contemporary social discourse. Dr. Kerschbaum noted that peace is a related precondition. Using the analogy of children in a family, she stated that benevolence does not mean equal treatment for everyone but rather an "all can exist well" analogy of individuals receiving specific treatment. 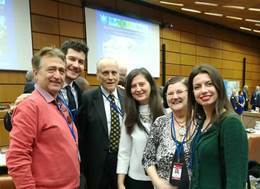 Finally, Dr. Kerschbaum called for early-childhood education in global peace topics, including skills for better communication. Next, former Austrian ambassador to Chile and Canada, Dr. Walther Lichem observed that migration and globalization have ended the myth of the single identity society. Correspondingly, he noted that "40% of Viennese have not been born in Austria - the same percentage in population as in Paris and other European capitals." Dr. Lichem said that the key challenge in pluri-identity societies lies in developing capacities for "otherness" such as ethnic, economic, financial, social, educational, and linguistic dimensions - while noting that plurality can also be a "source of enrichment and a fountain for development." He added: "Yet there is one identity which has remained excluded from integration - the dimension of absolute truth as contained in our religious faith. It thus remains a dimension of segregation, division of our societies." 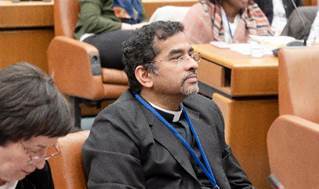 He maintained that identifying the shared core values and principles of the religious communities facilitates societal integration "and peaceful convivencia." The final speaker was Dr. Afsar Rathor, former program coordinator in various UN organizations. He summarized the lessons of his 27-year career with "you need courage to forgive." When Dr. Rathor served in Bosnia and Herzegovina in 1992, he saw "hatred and power games and in the name of religion." Witnessing concentration camps in Bosnia he thought "History repeats; we learned nothing. We have become immune to this." Next, he described serving in Somalia, saying: "15 Muslim clans fighting, proud to have killed women and children in a mosque. Where is the humanity?" 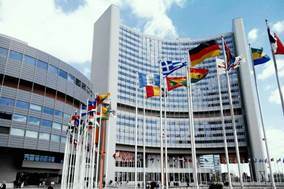 Having served in UN peacekeeping missions in Rwanda, he noted that a million people had been killed there. He decried the contemporary crises in Yemen and Syria, calling for humanity to be taught in schools. Dr. Rathor closed by asking the plenary to rise for a moment of silence for those who had died in the name of humanity. 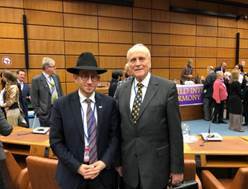 As a conclusion Mr. Peter Haider invited everybody to join the activities of the newly established European office for the Interreligious Association for Peace and Development, which is operated in cooperation with Peace Museum Vienna.